I'm really pleased. 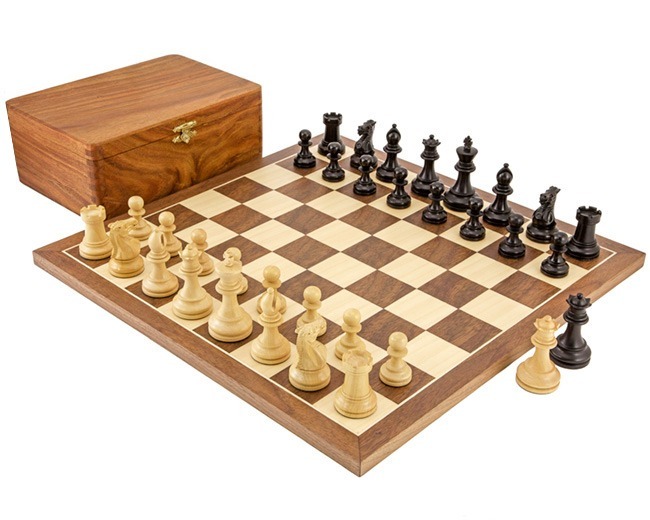 A high quality chess set that looks very 'classy' at a good price. The item came very securely wrapped. I ordered on Monday morning and the set and board arrived on Tuesday afternoon (even though I opted for standard first class postage). Communication from Regency Chess was excellent. So, I'm delighted with this purchase. Many thanks. Ian - Warrington. February 2015.